While it awaits the result of a criminal investigation, city-owned parking lot management company EasyPark is suing a Vancouver couple to recover more than $200,000 that it alleges was stolen by an ex-employee. EasyPark’s Sept. 17 British Columbia Supreme Court notice of claim says Dan Chiu Keung Wong’s job was to empty ticket machine cash boxes into secure cash boxes, deliver the portable cash boxes to EasyPark’s secure treasury and report and account for all the cash boxes delivered. “Dan was not authorized to and, as part of his employment with EasyPark, did not have the ability to open any of the cash boxes or the portable cash boxes,” said the lawsuit, filed by lawyer Peter Roberts of Lawson Lundell. EasyPark sued Dan Wong and his wife Angela Miu Kam Wong on Sept. 4, 2012 to seek return of the misappropriated funds plus interest. EasyPark received judgment on Sept. 16, 2013 against the couple for $203,037.95 plus $2,189.64 interest. 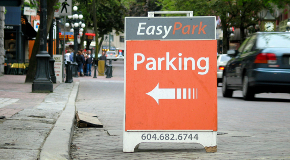 The 1948-founded EasyPark, a non-profit public authority legally known as the Parking Corporation of Vancouver, manages 41 facilities with 10,836 parking spaces. The claim says the Wongs bought a house on Jan. 4, 1993 on 3568 Tanner Street in Vancouver and jointly owned the property until June 22, 2005 when Dan Wong transferred his half interest to Angela Wong for a nominal $1 “and natural love and affection.” Since June 23, 2005, Angela Wong has been the only owner of the property, which has an assessed value of $787,200. The claim says the Wongs intentionally transferred the property to “defeat, delay, hinder and defraud” both Dan Wong’s existing and future creditors. EasyPark claims Dan Wong “had accrued significant debts to creditors, including the Bank of Montreal and Royal Bank of Canada” and filed for bankruptcy on Jan. 30, 2006. He was discharged on Oct. 3, 2007. EasyPark wants the court to treat Dan Wong “as if he were still the legal and beneficial owner of the property” and grant an order for a certificate of pending litigation on the title of the property. The Wongs have not responded in court to the latest filing and the allegations have not been proven in court. A telephone message for the Wongs was not immediately returned. In Dan Wong’s Nov. 26, 2012 response to the Sept. 4, 2012 EasyPark lawsuit, he admitted he was employed by the company from January 2006 to Aug. 17, 2012, but denied misappropriating or converting the alleged misappropriated funds for his own use. That filing also said he was separated from Angela Wong. EasyPark’s Aug. 26, 2013 application for judgment against Dan Wong said the company retained KPMG Forensic to audit EasyPark records and determined there were $203,037.95 in “non-routine variances” between Jan. 1, 2010 and Aug. 18, 2012. “These non-routine variances in cash were ‘most likely collected by Mr. Wong’,” said the application. 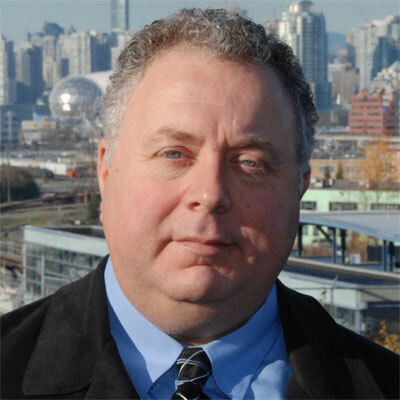 EasyPark’s board chair told me in an interview that a criminal complaint was filed with the Vancouver Police Department. “Hopefully the police will deal with it to the full extent of the criminal law, but it’s in their hands,” said Bob Ransford. Ransford said “procedures have been improved and tightened up” for employee background checks and money-handling at EasyPark. Note to readers: Do you have proof of significant fraud or theft in public-owned companies or government offices at any level? Only credible tips are welcome. Please contact me here.